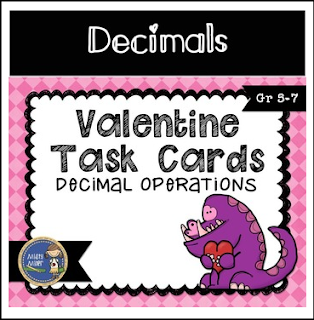 Valentine Decimal Task Cards is a set of 16 Valentine-themed task cards. The cards come in color and black/white. A recording sheet and answer key are included. Skills: Add, subtract, multiply, divide decimals in computation and word problems.